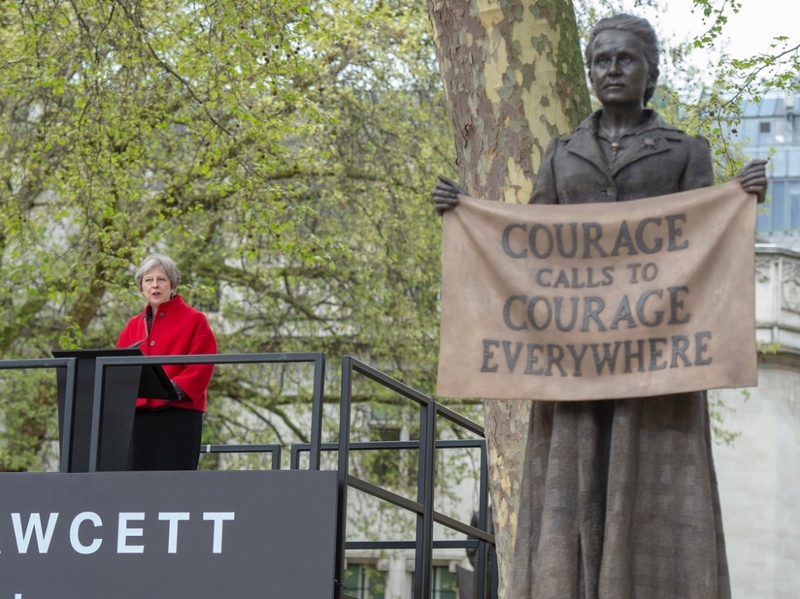 Prime Minister Theresa May (below) and the Mayor of London, Sadiq Khan, recently attended the unveiling of the first statue commemorating a female in Parliament Square – that of Suffragist leader Dame Millicent Fawcett. The work of Turner Prize-winning artist Gillian Wearing, the statue is not only the first of a woman to grace the square outside the Houses of Parliament but also the first in the square created by a woman. Its arrival marks 100 years since women were given the right to vote in the Representation of the People Act 1918. Mrs May paid tribute to Fawcett for her role in the “long and arduous” struggle to achieve votes for women while Mr Khan pointed out that the statue would stand near that of Mahatma Gandhi and Nelson Mandela – “two other heroic leaders who campaigned for change and equality”. “There couldn’t be a better place to mark the achievements of Millicent Fawcett, in the heart of UK democracy in Parliament Square,” he said. 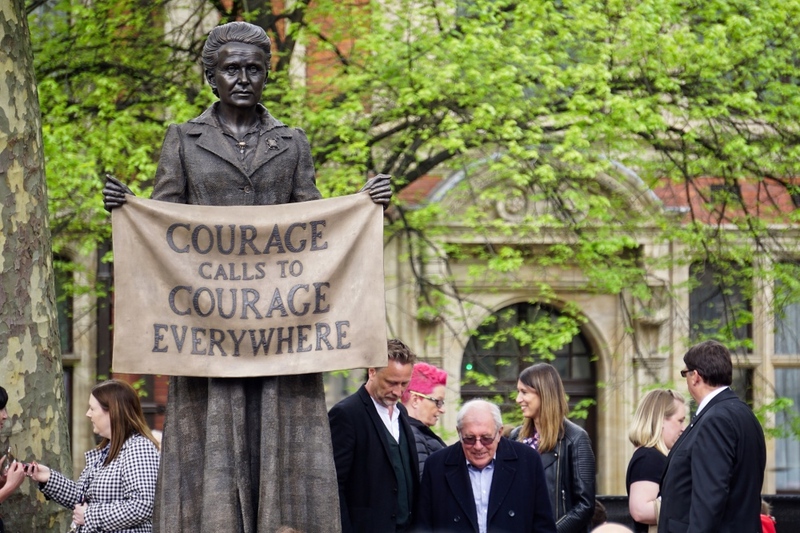 The statue, which was funded through the Government’s £5 million Centenary Fund, was unveiled by three generations of women including Jennifer Loehnis, a descendant of Millicent Fawcett, and activist Caroline Criado Perez who led the campaign lobbying for the statue to be placed there.